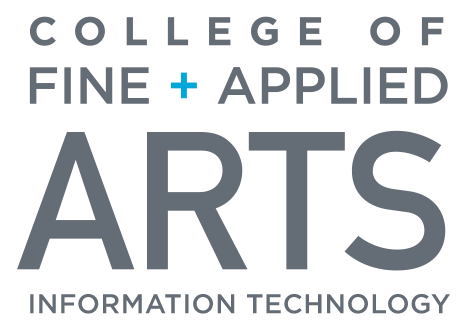 This article applies only to Faculty, Staff and Students of the College of Fine and Applied Arts (FAA). This article provides printing information for iSTEM, including links to detailed instructions for installation and advanced usage of network printers. Printing at iSTEM is facilitated through the use of networked printers, server-based print queues, and PaperCut Software. Installation of core printers is automated for Supported Computers. Supported Computers will also be configured to allow their user to connect to additional networked printers. Details on available printers can be found in the Printer List. PCs will obtain print drivers from the print server and Macs will have common drivers preinstalled. Users may make an Technology Services at FAA Help Desk help request for additional support, including assistance with personal desktop printers. Personally Owned Devices - Technology Services at FAA will make its best effort to support printing from personally owned devices. Information about networked printers for iSTEM is available from the Printer List . Please make an Technology Services at FAA Help Desk help request for additional support. Self-service printer connection instructions are provided for users who wish to manually connect to printers from Supported Computers or personally owned devices. Technology Services at FAA cannot guarantee that users will be able to print from personally owned devices. The user assumes all liability associated with printing from personally owned devices. Click on the appropriate link in the "Platform" column for installation instructions. If you do not see your printer listed, please make an Technology Services at FAA Help Desk help request. Please do not add any networked print queues that are not listed in this table without consulting with Technology Services at FAA. Queues that are not listed may be disabled without notice. For general support please contact the Technology Services at FAA Help Desk.